« Previous 1 2 3 Next » Show All Showing 1 - 25 Records 64 Stock(s) Found! OSP-U100L 12 inch third heart between 3000 12 station turret rotation speed 3200rpm with Center right out chip conveyor chuck (KRS-NZ315), Lot Number: P901004. 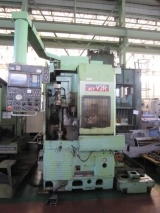 Control: Fanuc31iMA, Chuck Size: 1016 mm, Thickness: 182 mm, Max. load of work: 1.2 Tons, Max. 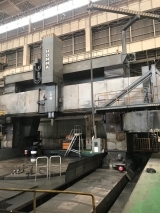 Cutting dia: 1000 mm, Max. Processing length: 890 mm, Traverse (XZ): 565 x 890 mm, ATC: 12 with Chip conveyor.